10 nights from £1,604 per person. 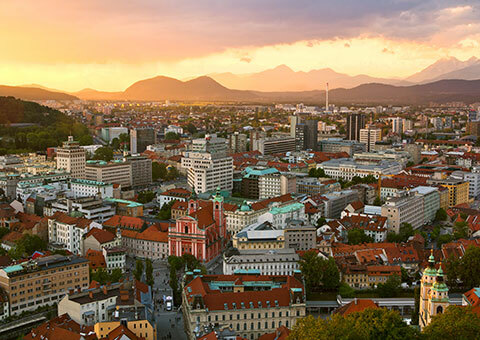 Medieval architecture, tranquil lakes, local villages, and Croatian charm will delight you on this tour featuring Dubrovnik, Lake Bled, Ljubljana, and the pearls of the stunning Dalmatian coast. Begin your exploration with two nights in Opatija, the Riviera of Croatia and an Istrian gem. Explore Plitvice National Park by foot and by boat, a place where waterfalls cascade down sheer cliffs connecting 16 pristine lakes. Sip wine in a regional winery and connect with the local people during a home-hosted dinner. Explore the white stone buildings, winding alleys, and massive city walls of the ancient harbour town, Dubrovnik. Step inside Diocletian’s Palace and back into Roman times in Split’s old town. Explore Ljubljana, Slovenia’s quaint capital city and float on a “Pletna” boat on serene Lake Bled. Step back in time in Split and discover the ancient Roman Palace of Diocletian. Enjoy a home-hosted dinner featuring regional wines in the Croatian Konavle region. Take in the natural splendor of 16 emerald lakes connected by breathtaking waterfalls. 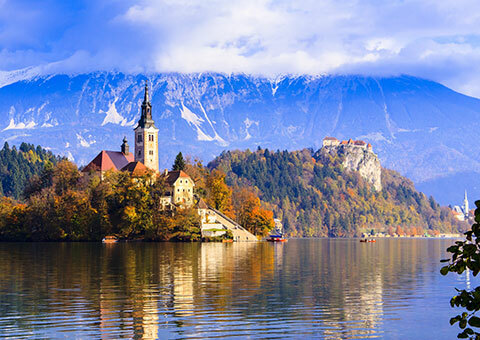 Explore Bled by water on a “pletna” boat, stopping to visit the St. Mary’s Church. For full itinerary details request a personalised brochure.